The discovery of pens was seen as a major landmark to the inception of literacy. Pens have widely been known as a tool of imparting knowledge to generations, and vastly deployed in the writing and rewriting of the history of humankind. 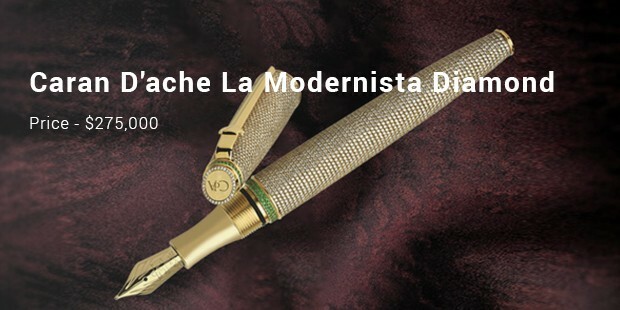 This pen currently sells at 1.47 million dollars. 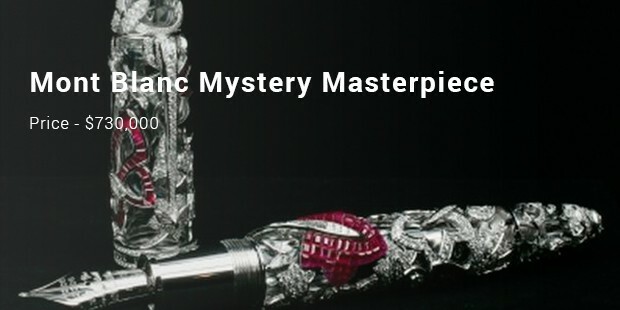 Manufactured in Italy, Aurora pen is finely decorated with over two thousand pieces of fine diamond. This quality not only makes it a mere writing instrument, but also an expensive piece of jewelry. 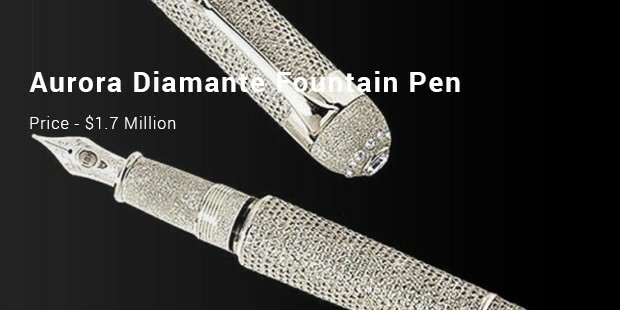 Speaking for its worth, Diamante pen is set to accord its users the smooth writing experience desired. 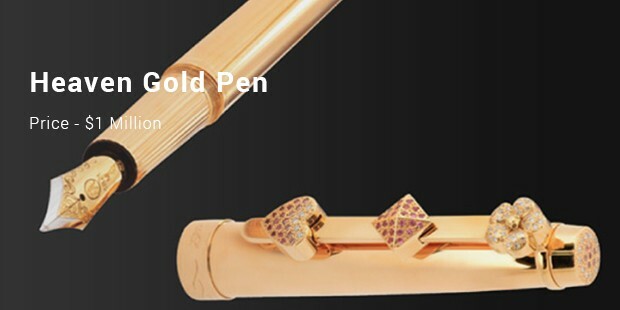 The pen has its nib decorated with gold alloys, thus making this piece of gadget a hard-to-concentrate on anyone’s penmanship. 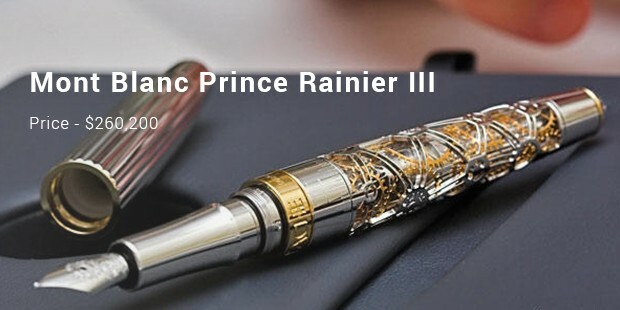 Coming from a renowned pencil manufacturer in Switzerland, this pen trade at 1 million dollars. This limited edition is hitting this remarkable price due to its 850-diamond coating. More impressive of its kind is its artistic 26 line of purely studded 22 baguette-cut pieces of diamonds. No wonder this pen is a genius in imitating its worth; with its luxurious quality, the pen is undeniably a plus to any high profiled writer who opts for its kind. 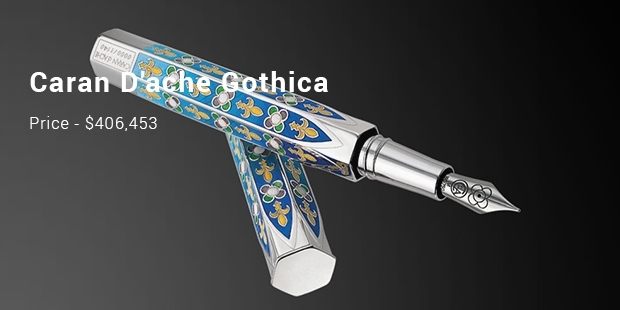 Inspired by Anita Tan, this pen has a remarkable worth of a million dollars. Considered as a girly pen, this piece of ornament is sculptured from a 24k pink gold color. 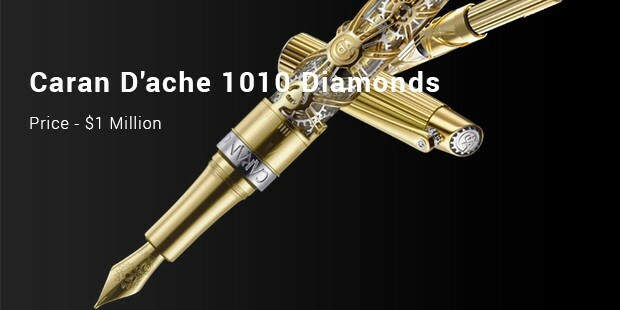 Being one of its own kind,the pen is attributed to an exact 1,888 pieces of diamonds, and weighs about 48 carats. A precious Tsavorite gemstone that weighs of about 43 carats has also been used to embellish its quality, making it one of the rarest collectible pens. The prestige accorded to this expensive pens, usually varies greatly. These variations mainly emanates from either the manufacturer’s reputation, or the kind of pen one desires to match their status. Being used as a hallmark of literacy, these expensive pens are considered a souvenir to the world; a quality that will definitely make them bid at inflated prices in the world auctioning market.